Madelaine Matej MacQueen is a second-year PhD student in Musicology, with an additional involvement in the Historical Performance Practice program. Her research focuses on voices, vocality, and voicelessness. In 2015, she presented a lecture-recital called Don’t Look Back! A Eurydice Retrospective, exploring the evolution of the character Eurydice over 400 years of operas on the “Orpheus and Eurydice” Greek myth. She also presented an abridged version of the lecture at the National Conference for Undergraduate Research in Asheville, North Carolina, and at the Pi Kappa Lambda Colloquium in Stockton, CA. Madelaine is an active performer, preferring early music and new music. Her roles include Flora in Britten’s The Turn of the Screw, Cupid and Semele in Handel’s Semele, Sparrow and Božka in Krása’s Brundibár, Aglante in Lully’s Cadmus et Hermione, Titania and Fairy 2 in Mendelssohn’s A Midsummer Night’s Dream, Celidora in Mozart’s L’Oca del Cairo, Erster Knabe in Mozart’s Die Zauberflöte, Eurydice in Offenbach’s Orpheus in the Underworld, Gabrielle in Offenbach’s La Vie Parisienne, Venus in Purcell’s Dido and Aeneas, and Dory in Wallace’s The Bonesetter’s Daughter, as well as oratorios and concert works. 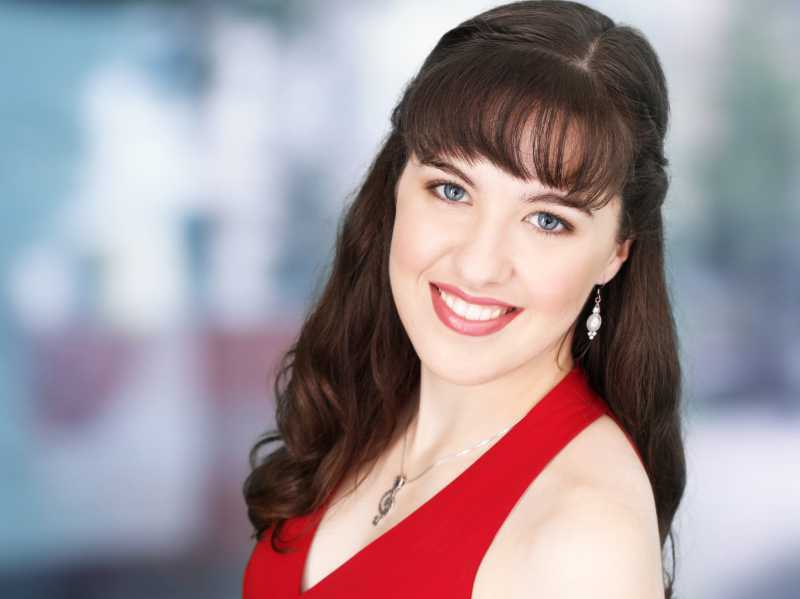 She has won numerous awards and competitions, including the Avanti Award from the Joseph and Frances Bruscia Foundation, the Thelma Dry Award in the Henry and Maria Holt Memorial Scholarship from West Bay Opera, and the Lotfi Mansouri Vocal Award from Pacific Musical Society.